Thankfulness. | The girl who loved to write about life. In my life, I've found that the cure for stress, sadness, not-so-great circumstances...well, that cure doesn't really exist. Sorry. But, I have found a really good way to combat those things, and that's with thankfulness. You have to focus more on the good. It doesn't make the bad go away, but it does shift your perspective. And sometimes, that's all you need. This week, I'm stressed. Tired. Worried. Confused. And there's not really anything I can do about those things. But I am also so very thankful. I'm thankful for days spent crafting. For surprise rooftop dinners. For the summer weather that seems to be back. For weekends that aren't full of to-do lists. For a snuggly pup. For days when writing comes easy. It's just so important to take time to be thankful. Because do all of those things make bad circumstances go away? Nope. Do they change anything? No. 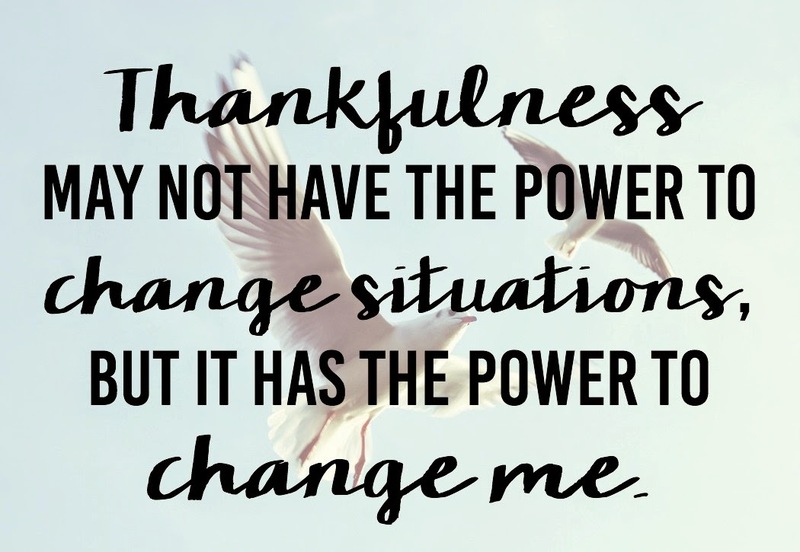 Thankfulness may not have the power to change situations, but it has the power to change me. And this week, it definitely did. On Wednesday, Christopher came home and surprised me with dinner. We went up to the roof and he set the table with candles and wine. 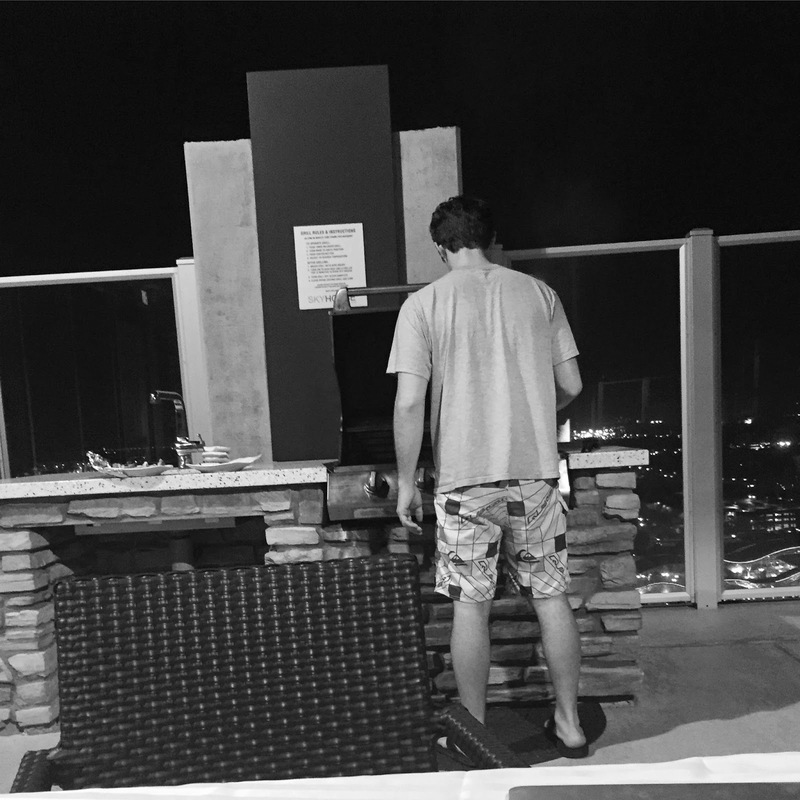 He grilled burgers. And we sat up there laughing and talking and just being together. I'm so thankful for moments like that, where you stop worrying and thinking and stressing and just be. And when I take the time to actually stop and think about how thankful I am for that, how can I ask for anything else? Thankfulness changes you. It really, really does. I love this!! So much power in thankfulness - esp shutting out bitterness and jealousy!!!! How cute is your roof deck! I am so jealous! Your hubby is wearing SHORTS! You definitely have a bunch to be thankful for! When the good outweighs the bad, life is good :) Enjoy those special moments. This week I'm thankful for the temps getting higher, no more snow, and no more major sickness. Every single day I am thankful. It's not happy people who are thankful, it's thankful people who are happy no matter what. I need to remind myself to be more thankful. This is a great post! I think right now I'm just thankful that I made it to Friday. And that I'm off work for the entire next week. It couldn't have come at a better time. What a sweet date night he set up for you!!! I am so there with you on being thankful and when you realize how many reasons you have to be thankful....life is so much better! I hope you have a great weekend! I completely agree that thankfulness changes you. It spreads more positivity and happiness of the here and now. It's a wonderful trait. Sounds like it was a beautiful night with the husband! It's so true....when life gets me down I always try to highlight the positives in everyday. It isn't always easy but it does help so much! I am thankful for my family's health! Love this perspective. So many things to be worries about but being thankful for what you have is so much more important and beneficial to the soul! Yes! Thankfulness is so important! I've found it to be incredibly helpful in getting through tough times... or just days that don't seem to be going well. Thanks for the reminder! Perspective.. and acknowledging the little things.